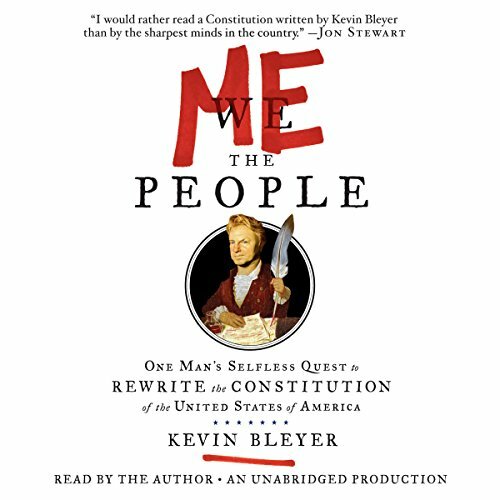 Showing results by narrator "Kevin Bleyer"
The United States Constitution promised a "More Perfect Union". It’s a shame no one bothered to write a more perfect Constitution - one that didn’t trigger more than two centuries of arguments about what the darn thing actually says. Until now. Perfection is at hand. A new, improved Constitution is here. And you are about to listen to it. So prepare yourselves, fellow patriots, for the most significant literary event of the 21st, 20th, 19th, and latter part of the 18th centuries. Me the People is about to save America.